I've been absent from this blog for a couple of months, because I have been absorbed in a new class on early Native American writers. My students and I are reading much of this work online where we can find it, because one goal of the class is to start assembling a digital archive of regional Native writing. There is nothing quite as fun, or as humbling, as sitting around a computer lab with 30 incredibly smart 20-year-olds as they hunt through and evaluate this material, so I thought I'd start sharing some of it here. Dartmouth College has begun digitizing some of the documents in their extensive collections of Occom papers, with a focus on Eleazar Wheelock and his other students. This is unfortunately not the most user-friendly interface: the documents are scanned in jpeg format only, not transcribed or text-encoded, so they're not particularly searchable (nor, in some cases, very readable). 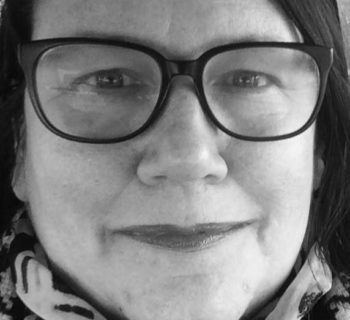 A more readable, more fully contextualized approach is given on the University of Maryland's Early Americas Digital Archive, where Heather Bouwman and her students at St. Thomas University in Minneapolis have transcribed and edited just two of Occom's sermons. If you really want full access to Occom's writing, with ample footnotes and explanatory contexts, it seems you still have to go to print: The Collected Writings of Samson Occom, Mohegan, edited by Joanna Brooks, is still indispensable. Apess's writing is much more widely available online, and in a variety of formats, too. His published works all show up in the Internet Archive's Open Library, a wonderful project that offers several different editions, and makes the text available in a wide variety of formats (pdf, plain text, etc; you can even export to your Kindle). My students were enamored of the ability to read the book online, where the site has a high-quality replication of the original and lets you actually "feel" like you're turning the pages. They also liked that you can search for a term in the book (e.g., "savage" or "Christian") and get a "timeline" of the word's occurrence at the bottom of the screen. Additionally, the Open Library also has some very good index functions: you can, for instance, click on "Mashpee Indians" and see links not only to other books on the subject, but also a timeline showing the publishing history on that topic (at least within Open Library selections), which can be very illuminating. A favorite Apess text for digitizing, it appears, is his Eulogy on King Philip, and you can get some decent historical contexts for it from sites like the Voices of Democracy Project. In my next post I'll discuss some of the less-known texts and authors my students are looking at in cyberspace; but I'm also very interested to hear from readers: what Native literature have you found online? what are your favorite formats? 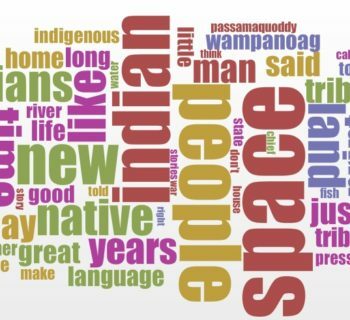 what would be on your wish list for an online archive of Native writing from New England?